Bernie Olshansky: Just a little while ago, Giants’ outfielder Melky Cabrera was announced suspended for 50 games due to testing positive for testosterone—a performance enhancer. This will put him out of action for the rest of the season. For the Giants, this is catastrophic. They lost a .346 hitter in the middle of the lineup. They just acquired Hunter Pence and got Pablo Sandoval back from the DL, and the lineup was stacked. They got through one game with the best possible lineup, and then this. As a Giants fan, I can’t even think of the words to describe this situation. Apparently the testing was during the All Star Break. The Giants now have a tougher road to the playoffs, but I’m not sure their goose is cooked. Buster Posey has been on fire recently, and the return of Sandoval should provide a large boost. The major problem with Cabrera’s absence is the loss of a high-average hitter. Now the Giants will need to work harder in order to get runners on base for the power hitters. Cabrera was having his best season—even better than last. Now the Giants must hope to scrappily win enough games to snag a wild card. 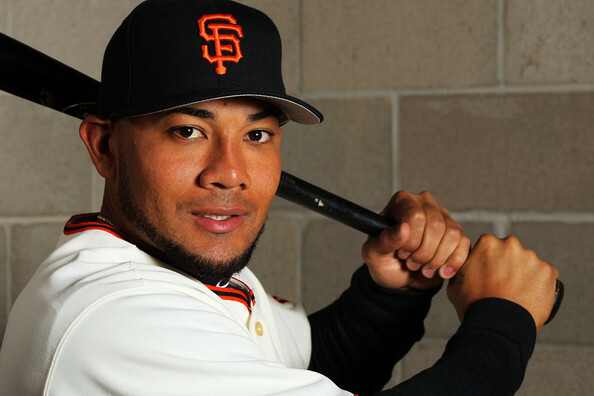 Gregor Blanco will be expected to fill in for Cabrera. The Giants recently signed Xavier Nady, so he might play a part too.